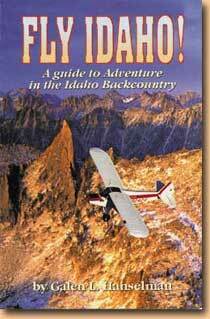 This is the definitive book for operations at Idaho backcountry airstrips. Air Section - There are 71 airstrips photographed in color. The first photo of each airstrip shows the overview. The second photo shows the final approach with a diagram of the airport layout and valuable information. Ground Section - In addition to information of services available, lodging, restaurants, there are stories of local history, anecdotes and black-and-white photos. The recreational opportunities include hunting, fishing, hiking, biking, camping, horseback riding, points of interest and more. 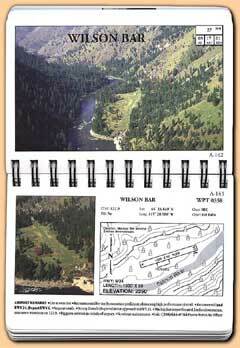 Information Section - Arco-Kimama Desert Overview; Hells Canyon Overview; Indians on the Middle Fork of the Salmon; Sheepeater War of 1879; Mountain Flying Tips; Mountain Flying Seminar; Natural Hazards of the Backcountry; Wildlife; Wilderness Do's and Don'ts; Insight into Locals; Demographics and the Zen of Fly-Fishing; Airplane Camping; Relative Hazard Index; Crosswind Component Chart; Koch Chart. Book dimensions: 4.25" x 6" x 0.75"